The philosophy of the book, Invent Your Retirement, by Art Koff is simple: with the right resources, you can pursue many new interests and create a rewarding, productive life after retirement. The book covers organizational aspects such as starting a home office and protecting your credit to bigger decisions, such as choosing where to retire and the importance of continuing education. Koff spent more than 35 years in national and international advertising, and is now a sought-after speaker about retirement issues for media outlets such as The Wall Street Journal, Business Week, Money, Fortune, and the New York Times. 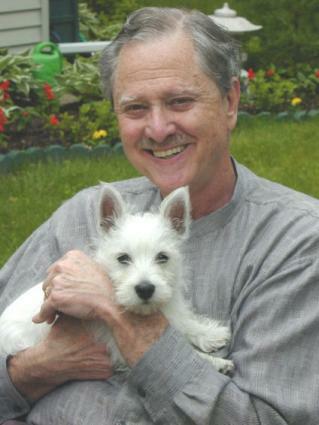 In addition to authoring Invent Your Retirement, Koff is the founder of Retired Brains.com, a website that provides in-depth information for seniors, especially those looking for employment. The site helps people match skills and personalities to potential industries, and offers a job board as a terrific resource for seniors. In this LoveToKnow Seniors interview, Koff talks about the inspiration for the book, and offers valuable tips for seniors wanting more from retirement and employment. Please share your motivation for writing your book. After I retired from 35+ years in advertising, I founded Retired Brains.com. Since the site did not offer enough content, it was not getting a great deal of return visitors, so I began researching content to add to the site. I found so much valuable information that I began sharing it with friends who collectively urged me to put it in the form of a reference guide. As you discuss the book with other people, what do they tell you they like most about it? Each person seems to have a different opinion, depending on his or her area of interest. Most like my listing additional sources where they can get more in-depth information. Lately, I seem to get the most questions about the chapter on how to find a job, and when I'm asked to speak publicly, this is the topic most requested. Do you believe your advice has more impact because you're a senior? I don't think my advice has more impact because of my age, but I feel I am better able to present information in a way that older Americans can more easily understand. The book has an entire chapter dedicated to computer literacy, a topic which could have been a book all its own. How did you decide what to cover? Originally, I did not plan to cover this area, but I was urged to do so, particularly by seniors who used e-mail but did not have any understanding of computers or the Internet. My sister-in-law helped me put this chapter together and I tried to make it as simple as possible. As I say in the guide, seniors should rely on their children or, better yet, grandchildren, for help on the computer. There's also a handy section on estate planning, with a detailed personal information form that provides contacts to survivors for everything from law firms to snow removal. Why did you consider this important to develop? My mother passed away while I was writing the book and I found that I did not have all the information I needed to help the family and the lawyer with her estate. Some of this information was very difficult to obtain and some I never did find, so I put together this list to assist others that may end up with similar problems. What are the biggest challenges for seniors who want to stay in the workplace, and how can they be overcome?The answer to this could be a small book in itself. I would certainly advise anyone who is nearing retirement to meet with the human resource department in their company and express their interest in continuing to work. Depending on the job, this may be easy. In some cases, working flexible hours or on a project basis can be a win-win for both parties. Many companies have designed plans for work continuation for some of their more valuable employees. Of course, smaller organizations generally do not have these kinds of plans in place, and often the person or persons that handle human resources issues are also managers or executives in another capacity. In any case, a frank discussion well before your retirement date is important. Consideration should certainly be given to working part-time, temporary jobs, or project assignments for your employer or for another employer either in the same kind of business or where your skills are transferable. Interviewing with and registering with a local temp agency is also worthwhile. What new goals have you established? I plan to continue to update the information that is on the website while researching and listing the kinds of content that retirees and people planning retirement wish to see. I hope to continue working as long as I'm mentally and physically able to. As I said in the book, an Israeli study has already proven that seniors who continue to work generally live longer than those who do not. Order Invent Your Retirement directly from Koff's Retired Brains.com. 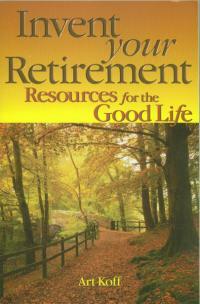 Scroll down to the first topic in the list, "Resource Guide for Retirees" and click there. Need to update your resume or get new information on the current employment market or search a job board? Use the Retired Brains' career resources center. The author received a promotional copy of the book, "Invent Your Retirement" to complete this interview.